The first two beta releases of iOS 9.3 have severely limited the navigation capabilities of the Apple Pencil on iPad Pro. Whether this was an intentional readjustment of the accessory's functionality to make it less stylus-like, or simply a bug in pre-release software, remains to be seen. Since its launch last year, the Apple Pencil has been capable of operating as a full-fledged, system-wide stylus with the iPad Pro. The $100 accessory can be used to open apps, scroll, and do general purpose navigation on the tablet, including with apps that were not designed for the Pencil. However, when iOS 9.3 beta 1 was released to developers earlier this month, all of that changed. 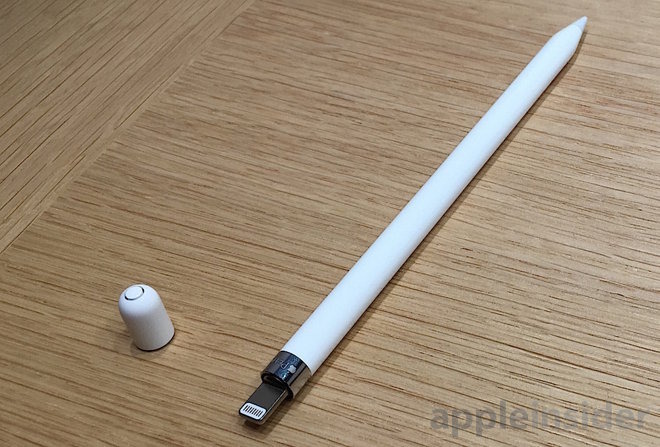 The Apple Pencil could no longer be used for scrolling and other general navigation. While some chalked it up to a bug in Apple's first beta, the changes once again remain in this week's release of iOS 9.3 beta 2. 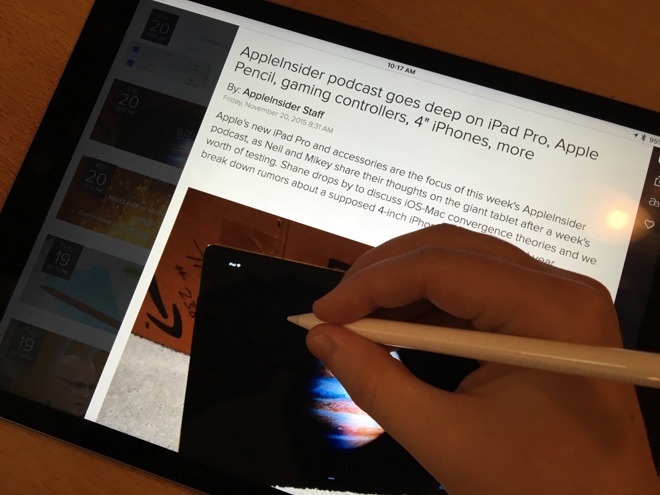 That's led to speculation that the handicaps placed on the Apple Pencil in iOS 9.3 betas are intentional, suggesting Apple is considering limiting the functionality of the device with an upcoming software update. If Apple does limit what the Pencil can do, it might be an effort to focus on its role as a drawing and mark making utensil rather than a general navigation tool. Apple's chief designer Jony Ive himself said in an interview last year that he was worried some users might "confuse the role of the Pencil with the role of your finger in iOS." "We are very clear in our own minds that this will absolutely not replace the finger as a point of interface," Ive said to Wallpaper. "But it is, and I don't think anybody would argue, a far better tool than your finger when your focus becomes exclusively making marks." Scrolling used to work fine in any app, but with iOS 9.3 betas, it does not. Much could change before iOS 9.3 launches to the public later this year. In the past, Apple has toyed with big changes in beta releases, only to not include them in the software's final release. Most recently, Apple included a two-finger "trackpad mode" for iPhone in beta releases of iOS 9 last year. Once the software was finally released, however, it was only possible with two fingers on an iPad, or using 3D Touch on an iPhone 6s or iPhone 6s Plus.